The unfurling of spring is now upon us! And what a sight it is – daffodils drenched in morning dew, geraniums in bloom, the emerald head of fresh leaves on a tree, birdsong, happy joggers and cyclists with cherry cheeks and children playing in the park. Yep, we love every second of it. As the days get longer, you’ll no doubt be casting an eye over the garden, and wondering how you can maximise the use of available space this summer. With family and friends about to descend, you’ll want to make the garden as inviting and attractive as possible, down to the smallest details of your plants and potting elements. 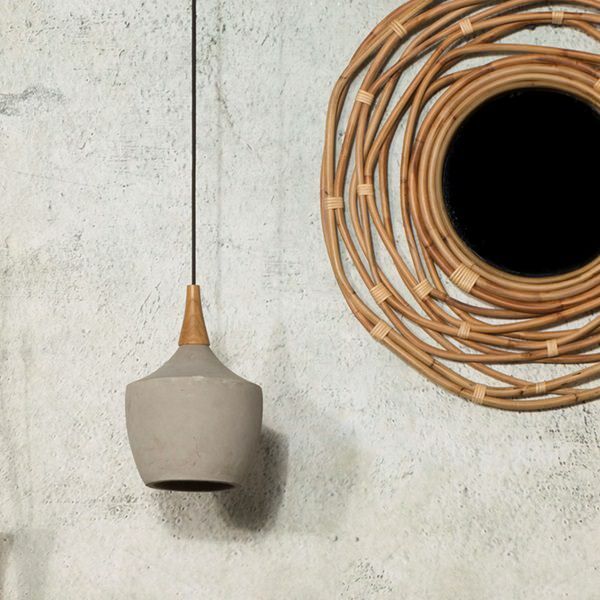 So why go for the usual crusty old plant pot!? 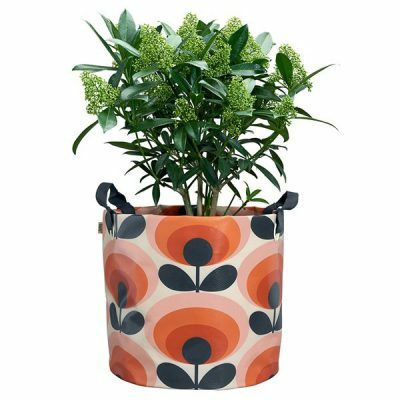 Orla Kiely has an alternative: the Fabric Plant Bag, dashed in a funkadelic 1970s print of blacks, yellows and oranges. With effortless carrying potential, you can shift a showcase flower where it needs to be, mobilising your organic style choices. The bag is fully compatible with moisture retention and other aspects of the ‘pro-grow’ philosophy (that being high-quality, organic soil and lawn conditioners made from green waste recycling activities). 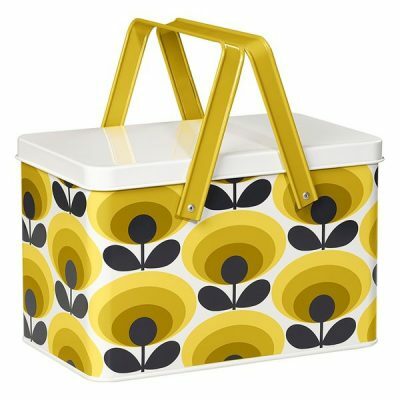 For the total, multi-layered face of your gardening expeditions, Orla Kiely’s Tool Box has the same visual character, wearing it on either side of its storage capacity. 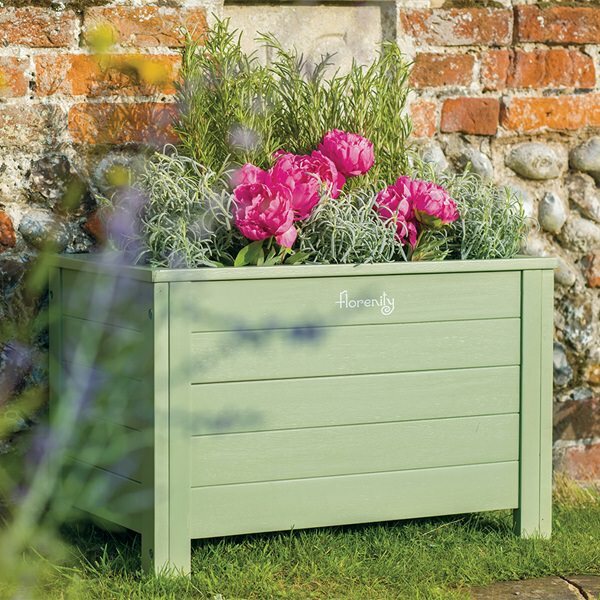 Perfect for the keen-eyed hobbyist – the kind of person who loves rummaging in the dirt for weeds and seeding opportunities – this box makes the perfect gift for the house proud green fingered folk. and the galvanised steel means it’ll survive the roughest of knocks, tumbles and weather. With spring comes an abundance of delicious food: from lamb to fresh asparagus and rhubarb, our appetites are sizzling like the slanting sun on a tin roof. 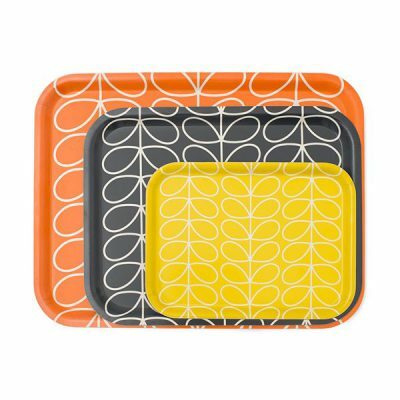 It’s a great excuse to head outdoors for lunch or dinner, bringing some quality meal-ware with you. 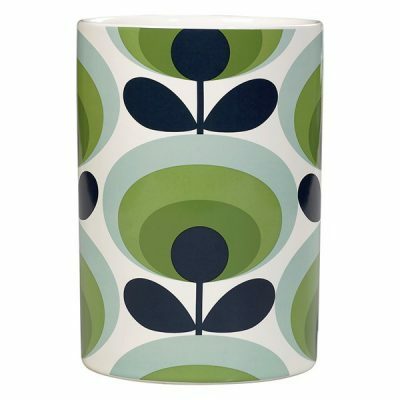 Cuckooland has always been a fan of Orla Kiely patterns – those vivid, painterly swirls can make for an owl, flower stem, batch of pears; they can look retro or contemporary or indeed quite rustic depending on how and when they’re used and displayed. This design versatility has cropped up in the brand’s garden trays, meant for serving tea and nibbles in the midday sun. 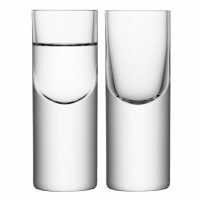 A product that’s simple yet memorable making it a fabulous gift idea for her. They’re more than ready to land alongside your outdoor dining kits. For a pitcher of lemonade, which always goes down a treat, buy a couple of Stem Coasters, and give everyone’s glass the Orla Kiely treatment. 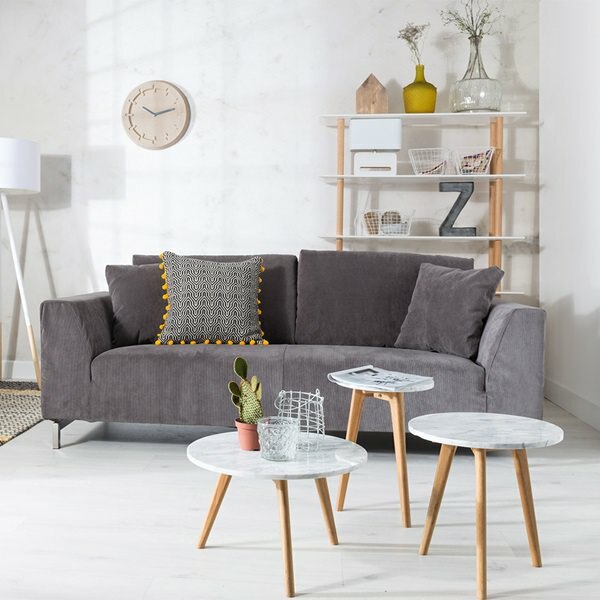 A whole, matching set will put you in the friend for life zone for a pal who loves to host in style. There are Enamel Plates, too, for a more stately, sophisticated time outdoors. Like us, you’re doubtlessly joyful with the re-appearance of the sun. Yet, even with the clocks an hour ahead, the blaze of the sun will eventually die down, making way for a dark and slightly chilly navy sky. At night-time, many homeowners are exploring the potential of outdoor lights, which carry the mood of the day on into snuggles by the patio, or a casual glass of wine before turning in. 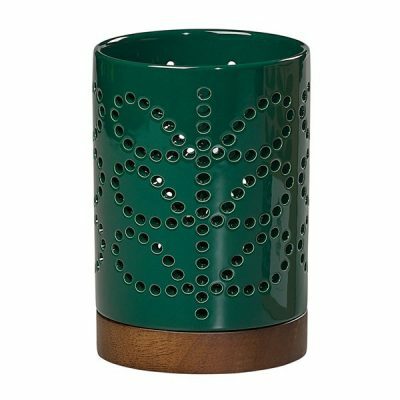 Orla Kiely’s Tea Lanterns can literally light the path to aesthetic success. 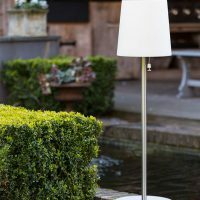 Hang them on a branch or fence hook, or sit a run of them down by your flagstones: the cumulative effect will be a glowing, gorgeous set of floral patterns, a trademark of the brand that has, for the first time, been properly illuminated! 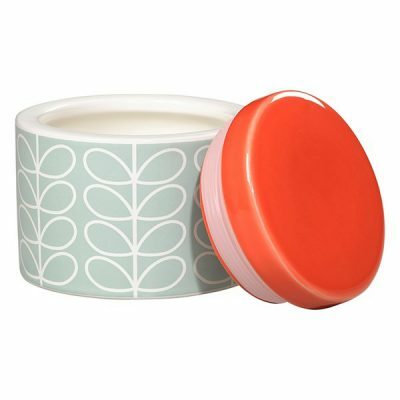 There are several colours to choose from, but we’re fans of the Persimmon Orange shade, as well as Duck Egg Blue. You’ll be using the last strains of spring light for as long as you can, then – voila! – a whole new otherworldly scope of tonal interplay comes into being. 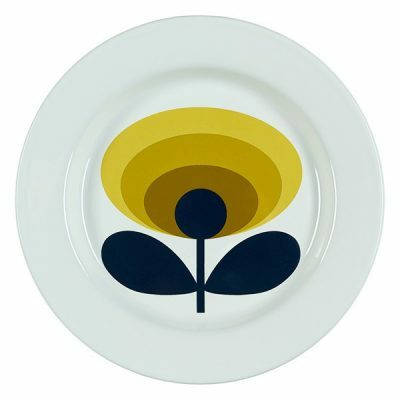 Keep all creatures great and small happy this Spring with the delightful offerings from Orla Kiely. This wonderful bird house has a handy cleaning hatch and hanging attachment, keep your bird box up high, tucked safely away from pesky predators. 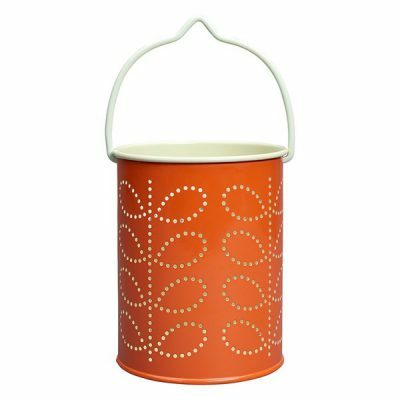 This wonderfully retro Orla Kiely 60s Stem pattern with a sloped Persimmon orange roof and entrance hole is like a beacon of vintage goodness. 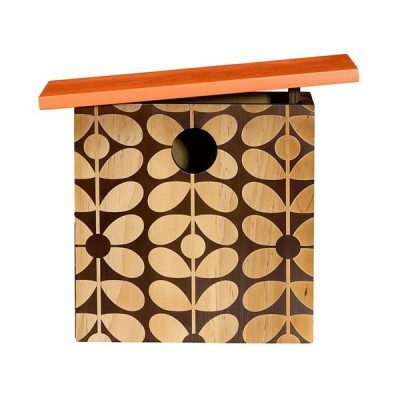 With fabulous garden accessories such as the Orla Kiely Bird House in 60’s Stem Design it will be easy to give those beautiful birdies a fabulous hangout. Or maybe you’re a gardening obsessive, trimming the wilder aspects of your lawn in anticipation of a constant stream of company. 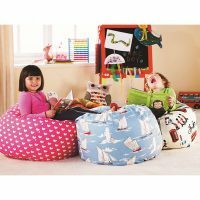 Basking, drinking, eating and chatting together seems easy enough, but you’ll want a reliable group of packing implements to ensure there’s no mess, particularly when you’re rushing back from the kitchen with home-made treats in hand. 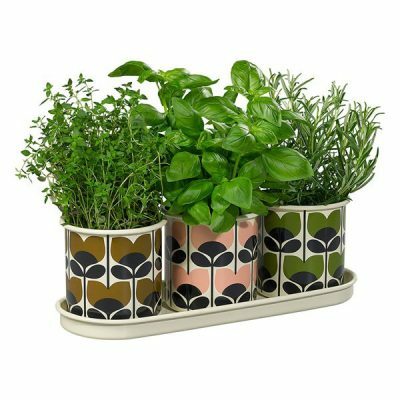 For such a hostess-with-the-mostest attitude, Orla Kiely have unveiled their Ceramic Utensil Pots, the best little store for your spoons, whisks and serving instruments. 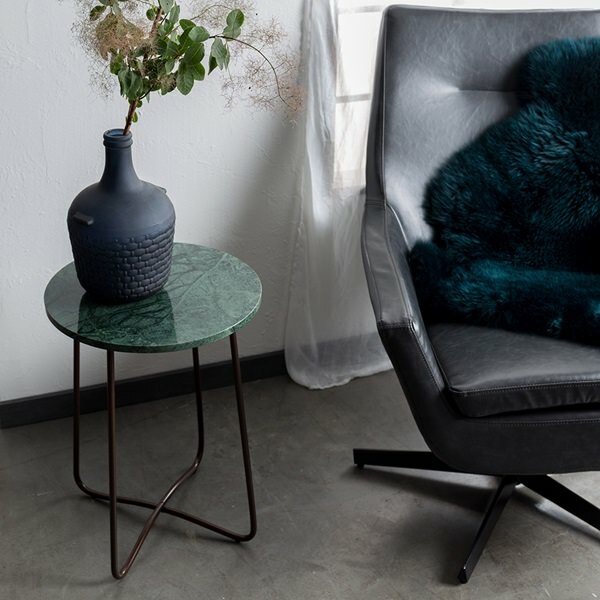 The flora pattern proves its adaptability once more, spanning an ovular design over the piece. Additionally, as a last grab for rural living, you could be interested in a few Ceramic Jars, there to swallow spare sugar and coffee beans (or maybe some seeds, if you’re feeling like a proud gardening guru!). 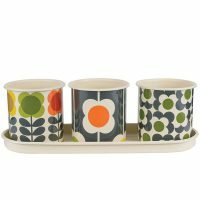 As Spring continues on its merry way and into our hearts, we know that Orla Kiely ‘get’ the things that amplify our enjoyment of it. Cuckooland’s sprightly batch of designer goodies are stocked and ready for the taking – the question is, how green does your gregariousness grow? Find out by calling our happy help-line on +44 (0) 1305 231231, or email us at customerservice@cuckooland.com.